Could this be Xiaomi’s foldable smartphone? Samsung is expected to introduce its foldable smartphone in 2019. They had showcased a prototype device that comes with a new Infinity Flex Display a few months ago. Apart from Samsung, it appears that Xiaomi is also working on a foldable device. Serial leakster @evleaks had recently shared a video that showed what seems to be a smartphone with three folding modes. 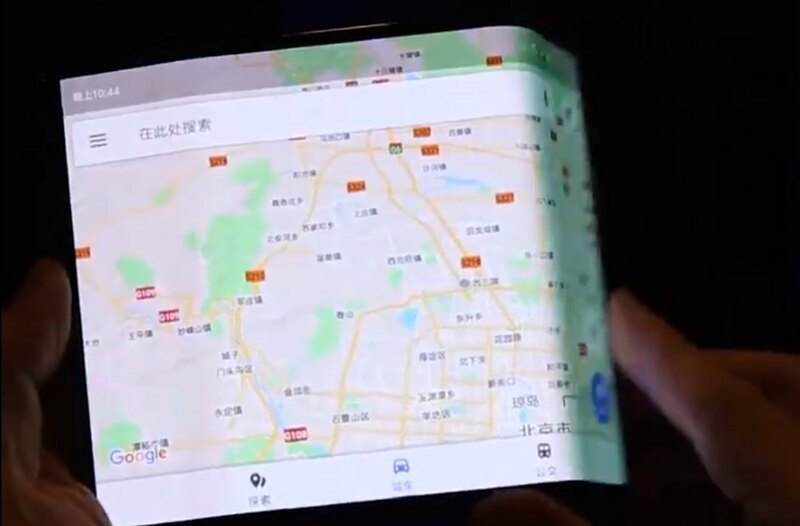 Unlike Samsung’s prototype that uses two different displays, th alleged Xiaomi device has a single screen that can be folded twice like a tri-fold brochure. Towards the end of the video, it showed MIUI10 in the settings page. When the device was folded, we could see how the Google Maps’ interface seamlessly adapts to the new screen size. We can’t really see the exterior of the device but it appears that the screen wraps around from the front to the back in its complete folded form. While the video looks legit, it is worth mentioning that Evan Blass could not verify the authenticity of the video. Even if it is real, having a phone with a display wrapped around like that could pose durability issues. Of course, the biggest problem about having a foldable display isn’t so much about the hardware but rather what you can do with it. Realistically, it will take a while before manufacturers can find a practical use case. When curved displays were introduced, we saw radical concepts in the beginning and eventually, it is used as a secondary screen like the Galaxy Note Edge. Today, most manufacturers would curve the edges of the screen just to minimise the width of their smartphones. Interestingly, Android had announced that they will officially support the foldable form factor. You can expect native support for app continuity and multi-active window when the device switches from various modes. This should give developers a headstart to develop new user experiences for the new form factor. What do you think of the foldable form factor? Is it just hype or can it set a new trend for future devices?